Bottom LineIBackup is stable and secure with great backup options. They could use a software facelift, but other than that you get a good product. Since our initial review, online storage has grown significanly as an industry. We have found a lot of competetive products of IBackup in terms of price, but few that compare with the technical feature offerings they have. I you are a business that needs to backup servers, We still recommend IBackup. We really like iBackup for business class level of service. We did a few restore tests and found they were much faster than many of the less expensive options. We know from experience if you lose data it is crucial that the restore process is as fast as possible. The service sign up was straight forward and easy to get through. If you are backing up multiple computers you will want to be sure to check the "Multiple PC" option. After that we downloaded and installed the back up client on each of the computers that needed to be backed up. We set the schedule, the email notifications and let it start backing up the computers. It took a few days to make it through the original 20GB upload, now each computer only takes 15 to 30 minutes to back up each night. Many of the other companies to save on space will delete files when they are deleted from your computer, while this saves them space it means you could loose one of your valuable files. IBackup always keeps files even after they are deleted. iBackup is not the cheapest service but well worth the few extra dollars per month. You sign up for a contract let’s say of 100 G. for 10.00 Dollars; The next plan is 20.00 dollars for 250 Gigs. So you are not there at the time. After 3 months your business grows, and you need now to backup 150 G.
You will be charged insanely instead of going to a new contract. Sorry Ibackup two thumbs down. GOOD SERVICE Until U have An Issue. I have been with Ibackup for almost 3 years and I can say I never had and issue other than slow uploads and download speeds. When I finally have a problem they wont fix it, I asked to placed on a different server they did not want to do that, I asked to create me a new account they didn't want to do that but what they did want me to do is wait so far 7 days while the held my files hostage. Good severs bad support. Good Service for the money you can't beat it when it's working properly. I had an issue with sharing links for files to be downloaded by users and reported it to tech support, currently it has been 7 days and the issues is still not resolved. The only answer they can give me is that they are working on it and that they can't do anything. The support people you call are tier one and you will never get past them they will tell you about tier two but you won't ever hear from them. In 7 days I have not received any updates on the matter as I was promised, each day I have to call back and ask the status, which is we are working on it. These people don't care, customer service is straight trash. For some reason iBackup keeps adding multiple pst files to the backup. I'm not sure if that's happening on our end or iBackup. But, it has put us over our limit. iBackup lets us know and I go in and remove the extraneous pst files. We have not been charged for overages. We have five users to backup. It took a while for the initial backup (between 5 and 7 days for ~6 GB) for each user. iBackup allows one to reduce the amount of bandwidth it uses (for example, during the day) so that the backup continues, but does not affect hard workers goofing off on the internet during the workday. There are settings so that iBackup will send an email verifying that the daily backup was successful. Daily backups, depending on the amount of files changed in a day, require less than 30 minutes. The software is pretty intuitive. IBackup provides a well rounded list of features and a great stable product. Appealing to business and enterprise companies, they are a leader in online backup because of great options like server backup, sub-account options, and personalized support. 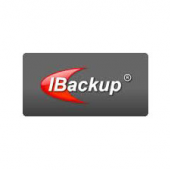 IBackup was established in 1995 by Raghu Kulkarni. The IBackup headquarters are in Woodland Hill California. IBackup is a popular online backup and storage provider known for their highly secure solutions, technical features and easy to use service. 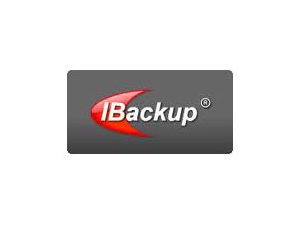 IBackup provides multiple online backup data servers located at El Segundo CA, Newark NJ, Fremont CA, London UK and more. Your data is mirrored between different storage locations which ensures total data security. Sophisticated software tools are used 24x7 to monitor the data security. Audits carried out by third party vendors help maintain the highest quality standards. Founded in 1995 by Raghu Kulkarni, President and CEO of Pro Softnet Corp.
Economy plans start at $9.95/month provides users with 10GB of data storage space and are beneficial for users looking for generalized backup, storage and sharing of data. Using this plan user can also view the history of the data storage. Enhanced backup plans provides 15GB of storage space by paying $14.95/month and are useful for backup and restore for advanced users. This plan expands to have the ability to secure Microsoft Exchange & SQL server and Oracle database. Workgroup plans are ideal for backing up small business networks. You can backup multiple computers and shard the data among them. The basic workgroup plan costs about $20/month or $200 for the annual subscription. A stringent data protection strategy is deployed by IBackup to secure user data. 128 Bit SSL encryption is used while transferring the backup data and AES 256 bit encryption is used at the actual site of data storage. By making use of network drive and selection wizard you can create a simple automated procedure for regular data backup and storage. IBackup systems are known for the ease of use, technical versatility, server backup options, and excellent performance. This justifies its higher pricing as compared to other backup and restore services.